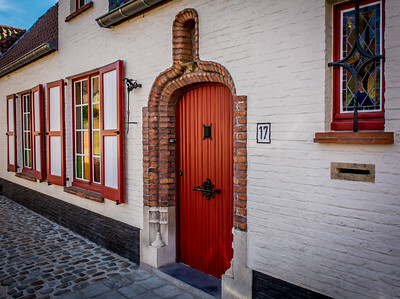 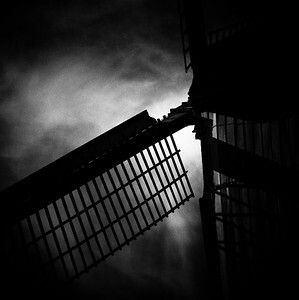 One of the restored windmilles that run along the rive in Bruges, Belgium. 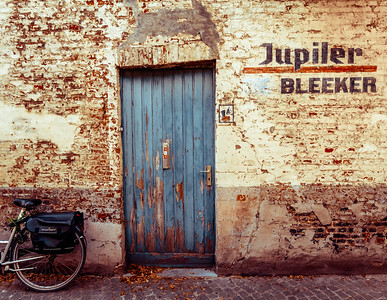 A classic brick wall, bicycle, and old advertising all come together to create this beautifully textured scene. 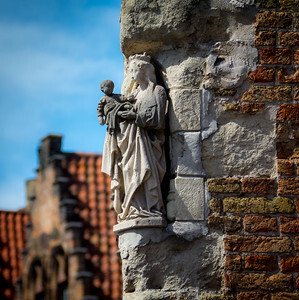 One of the many Virgin Mary's that dot the streets of Bruges, Belgium. 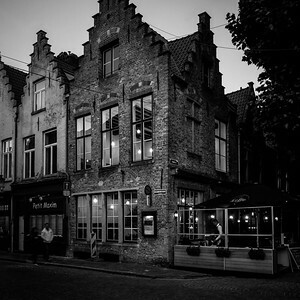 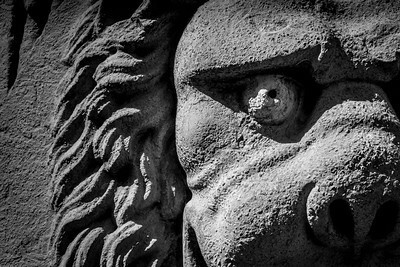 A lion face in Bruges, Belgium. 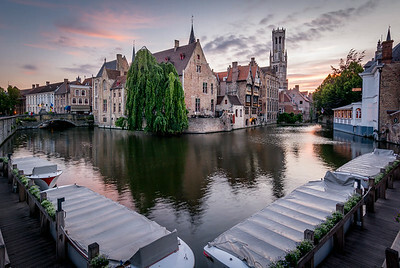 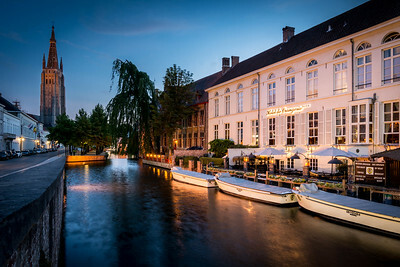 A lovely evening in Bruges. 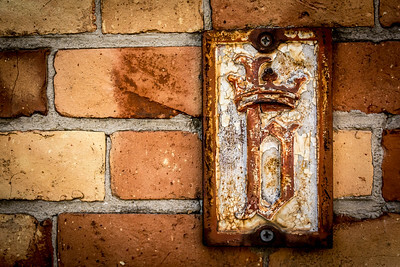 These small plaques are from the 50's and they were placed to help fire fighters find underground hydrants. 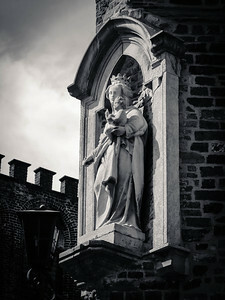 The symbol, a small b with a crown, honors Mary of Burgundy.